All chronic liver disorders can lead to liver fibrosis. Simply speaking Liver fibrosis is a scarring process that represents the liver’s response to injury. An injured liver attempts to repair the damage by activating certain factors which make liver cells to produce large amounts of collagen (an extracellular matrix fibre) and many other extracellular matrix proteins. These extracellular matrix proteins and fibres accumulate in the liver in such a large amount that it leads to several other liver problems such as cirrhosis, hypertension and finally liver failure. It is known that this also increases the chances of liver cancer. Globally cirrhosis and liver cancer are now among the top ten causes of death worldwide. This underlines the seriousness of liver fibrosis. Liver fibrosis in advanced stages usually requires a liver transplant. As already mentioned, liver fibrosis is caused by any chronic liver disease that injures this organ. These diseases majorly include chronic Hepatitis B and C, Alcoholic liver disease and non-alcoholic fatty liver disease. Turmeric is a yellow coloured spice, commonly used as a flavour enhancer, coloring agent and as a natural medicine to several diseases like arthritis, cold, swelling, pain, ulcers, gastric problems, skin diseases, ringworms and bruising. 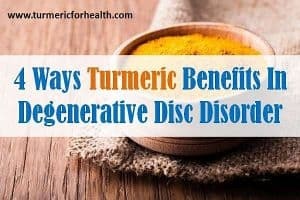 Experimental research has proved the efficacy of turmeric in treating several of the above-mentioned diseases and many more, making it a wonder herb. Its roots are majorly used for therapeutic purposes. 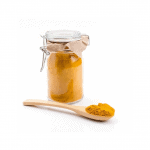 Powdered turmeric is mostly used for edible purposes in curry and other Asian food items. 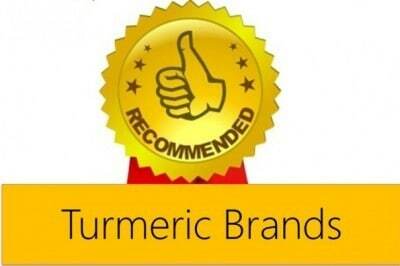 Turmeric contains several therapeutically active ingredients and the most important of them all is “Curcumin”. Curcumin is the major component of turmeric and is responsible for most of its medicinal properties besides the characteristic colour . Several studies have shown that curcumin can successfully treat major diseases like osteoarthritis, fibrosis, gastroenteritis, infections and even cancer. Many studies have indicated that curcumin from turmeric can reverse the effects of liver fibrosis and evade the need for liver transplant. 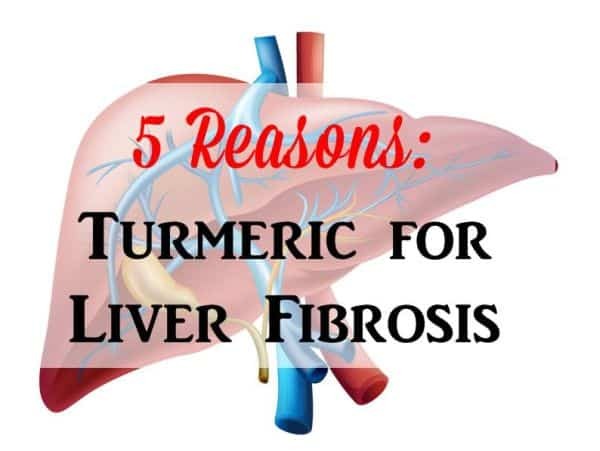 Turmeric can help in liver fibrosis in several ways. Some of the most important ones are discussed in the section. Every day, a number of chemical compounds affect our liver and its function. Since liver is the organ responsible for detoxification, it is the organ which is most in contact with chemicals and susceptible to the harm caused by these chemicals. Consumption of large amounts of foods with lower nutritional value and high chemical contents, alcohol and any kind of infection makes the liver weak and unable to fight with these chemicals. This causes the liver cells to get injured, often leading to fibrosis. A study done on chemically induced fibrosis in rats showed that certain natural compounds, including curcumin from turmeric, exert powerful protective effects on the liver. Curcumin, possibly due to its anti-oxidant and anti-inflammatory activity, decreases the amounts of molecules that promote liver damage and fibrosis. These molecules include bilirubin, transpeptidase, transforming growth factors and aspartate aminotransferase . Apart from reducing the amount of these damage inducing molecules, it also increases the amounts of matrix metalloprotease 13 and glutathione which help in breakdown of excessive connective tissue in the liver that is responsible for fibrosis. What it means: curcumin from turmeric protects the liver against the chemical induced damage by reducing the amounts of damaging molecules and increasing the amount of compounds that inhibit fibro-genesis in the liver tissue . The type of cells in liver that upon damage start secreting collagen and other extracellular proteins causing fibrosis, are called stellate cells. These stellate cells get activated when an injury is detected in the liver. 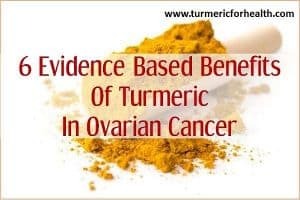 In a research done to observe the effect of turmeric on these cells, it was found that curcumin from turmeric effectively activates apoptosis (programmed cell death) in the liver stellate cells that cause fibrosis. Another mechanism of action deduced in this research was that curcumin if taken for a long time in regulated quantities might actually stop the stellate cells from getting activated and cause any problem at all. What it means: curcumin from turmeric stops the activation of cells in the liver that cause fibrosis. It also has the power to induce cell death in these liver cells which prevents the progression of this disease to a chronic level . There are many signalling processes that activate and modulate the stellate cells of liver which causes liver fibrosis. These processes involve various signalling molecules, for example NF-ƙB and ERK. These signalling molecules function when the liver undergoes any damage. The end result of the signalling is the activation of the DNA of the stellate cells which ultimately secrete connective tissue growth factor (CTGF). The secretion of CTGF stimulates nearby cells to secrete more collagen and extracellular matrix proteins, causing fibrosis. In a research done on rats to find the effect of curcumin on signalling of liver cells, it was found that curcumin suppresses the NF-ƙB and ERK signalling in these cells. The end result of this is the blocking of the production of CTGF, which ultimately prevents fibrosis. Another type of signalling pathway that plays an important role in activating stellate cells in liver is Transforming growth factor Beta 1 (TGF-β1). TGF is a growth factor that is secreted in large amounts upon damage in the liver cells in order to increase the repair of the injured tissue. When the amount of TGF increases, it overactivates the stellate cells, leading to extensive accumulation of extracellular collagen in the liver which is called fibrosis. Curcumin has been shown to effectively reduce the TGF amounts and inhibit its signalling pathway . What it means: curcumin from liver helps in modulating the signalling processes of the liver cells, which finally leads to the suppression of the release of growth factors that cause liver fibrosis . During injury in the liver, many oxidative and inflammatory mechanisms are naturally switched on in the cells. These oxidative stresses are meant to alert the nearby tissues of injury but this process causes further damage in the liver cells. The oxidative stress includes activation of reactive oxygen species (ROS) in the cells, for example peroxide and superoxide. These ROS react with every neutral molecule in the cells including DNA, enzymes and proteins, causing extensive wounding. This process in turn activates the stellate cells of the liver which try to repair the injury by secreting extracellular matrix components. Unfortunately, many times, these cells lose track of the extent to which the repair is required and unlimited repair leads to fibrosis. 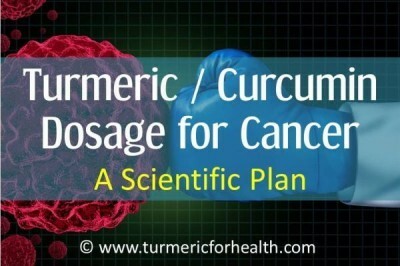 Curcumin is well known for its effects as a powerful antioxidant is proven to combat cancer by virtue of its efficiency. In a similar study to see the antioxidant effects of curcumin on liver cells, it was found that the compound indeed attenuates oxidative stress in the tissues. The mode of action by which curcumin reduces the oxidative stress is by increasing the amounts of glutathione in the cells. Glutathione is a compound which fights with the reactive oxygen species in the tissues and prevents them from damaging other good components of the cells. What it means: Oxidative stress arises in the tissue resulting from any kind of damage and leads to increased fibrosis. Curcumin from turmeric has the ability to fight and attenuate the oxidative stress in the liver tissues . The primary response of any organ to damage is inflammation. Damage activates certain inflammatory factors in the cells, for example, transforming growth factors, interleukins, etc. These inflammatory molecules activate stellate cells in the liver that start secreting extracellular matrix components extensively, leading to liver fibrosis. In two different studies done to observe the effect of curcumin on chemical-induced damage and inflammation in rats leading to fibrosis, it was found that curcumin not only cures the existing inflammation in the liver cells, but it also protects the tissues from further inflammatory cycles. Curcumin inhibits the production of transforming growth factors, platelets derived growth factors and type I collagen receptors in the liver cells which leads to a decreased growth and production of excessive liver tissue and extracellular matrix, ultimately ameliorating fibrosis. What it means: curcumin has the power to inhibit and reverse the inflammatory reactions in the cells of the liver that are induced by damage. Inhibition of inflammation leads to the reduction in the activation of the stellate cells that cause liver fibrosis. Turmeric is best used as part of the diet. It is used in small amounts in edible quantities in the majority of Asian countries. While supplements and other forms are available, I do not recommend them unless there is no other way. 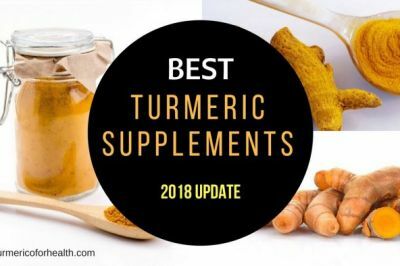 I believe turmeric is most effective when taken in raw powdered form and not as supplements. The powder can be taken at home in the quantities of 400 to 600 mg, 3 times a day. Overall – 1 tsp of good quality powder is safe to take per day. 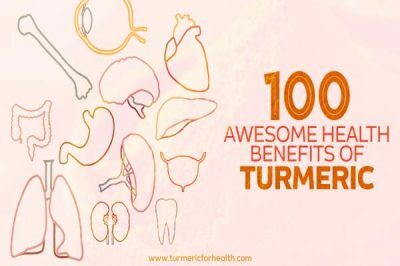 Turmeric is not easily absorbed in the body. Thus, to ease its absorption for maximum benefits, black pepper can be taken with it. 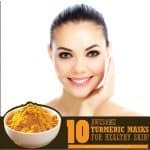 Turmeric is one of the safest known herbs to be used in medicinal quantities. 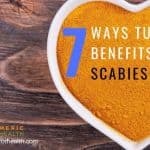 Not many reports have come up regarding any side effects caused by the use of this herb. However, it is good to take care while using any herb in medicinal amounts. 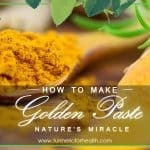 Special care needs to taken while using turmeric supplements as they are concentrated and many times their quality is difficult to ascertain. 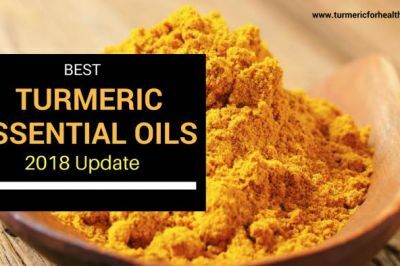 Turmeric is safe to take in edible amounts during pregnancy and breastfeeding but due to lack of research and evidence of its consumption in large amounts or supplements during such time, it can be risky and should be avoided. Consuming more turmeric than the recommended dose for a very long period of time can cause ulcers and bile stones. 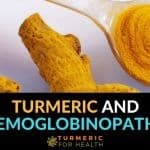 Also, turmeric reacts with the medications involved in blood thinning. The herb slows blood clotting and its consumption should be discontinued 2 weeks before any surgery. Turmeric also lowers blood sugar levels which is why diabetics who are taking medications for hyperglycemia should consult a doctor before taking the herb in large amounts. Turmeric is a wonder herb, known to cure several diseases including liver fibrosis. Its active ingredient curcumin helps heal the liver, shows protective effects on the organ against harmful chemicals, shows anti-inflammatory and antioxidant effects on the liver cells. It also successfully induces cell death in the cells causing fibrosis. 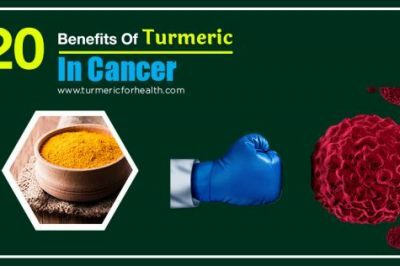 If taken regularly and in recommended amounts with care, turmeric can cure liver fibrosis and evade the need for liver transplantation as well. 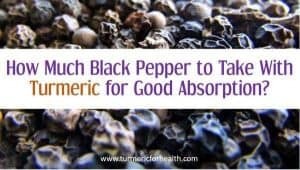 How Much Black Pepper to Take With Turmeric for Good Absorption? Liver Damage is a very critical situation and a healthy routine and medicine can only help the patient. My father in law has liver damage issue and we are taking care of him. If you have liver damage, please go to the nearby lab for the tests, so that you can recover in the initial stage itself. 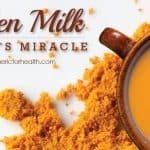 I read conflicting articles on the internet about turmeric and liver disease. Some say not to use turmeric if you have chronic hepatitis or other liver ailments. 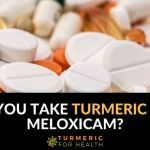 I love using turmeric but this is confusing – can you help clear up these double messages at all? Thanks. Turmeric in diet is safe even you are suffering from liver conditions. Turmeric works as an anti-inflammatory agent and also boosts liver function and protects it from a disease. In terms of research studies turmeric’s use in hepatitis is affirmative. I believe that every herbs that God created is for the blessing of human being.The bible stated that the herbs are for the healing of the nation.nation. 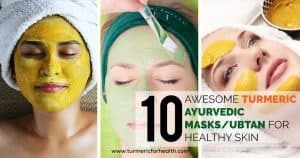 Turmeric is a wonderful herbs to heal the body it also beautify your self. My Mother of 95 and is recovering from a chest infection, but she has a cough and mucus which was lying on her chest/throat and preventing a smooth feeding process. I make the warm water remedy,with a tsp of turmeric and she has it thickened for Grade 2 puree diet, and on a spoon – the mucus is clearing and she is eating and drinking a lot better. I am unable to use black pepper tho in case she coughs? For us, I peel and cut roots of turmeric into little pieces and place in a mixture of water/lemon/salt/black pepper and keep in fridge – we have a little piece of this daily. Hi, keep it like this and start adding as soon as soon as she can. 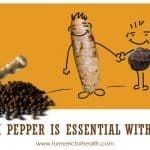 If your mother can’t tolerate the black pepper, turmeric is also absorbed better with fat, such as coconut oil, olive oil, etc. 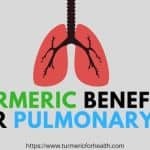 sir, its literally great, bcz there is nothing against turmeric, Sir,could you send some supporting data for Turmeric benefits in Cystic fibrosis , or ovarian Cysts. 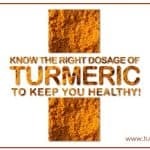 I take Turmeric for other reason like Arthritis, back ache, got rid of a lot of pain.